After three years of waiting, the Boarding Facility is becoming a reality! As many know, the idea of a new building was proposed in 2014 to allow more boarding at Our Lady of Mount Carmel. Over the past few years there has been a growth in boarders and Fr. Sherry had decided that it was essential for the school to find space for this increase of number. As this idea headed into planning and generated donations and fundraisers, Providence had other plans for OLMCA. While the planners were busy dealing with different ministries and policies, the community was getting weary of the building's existence. 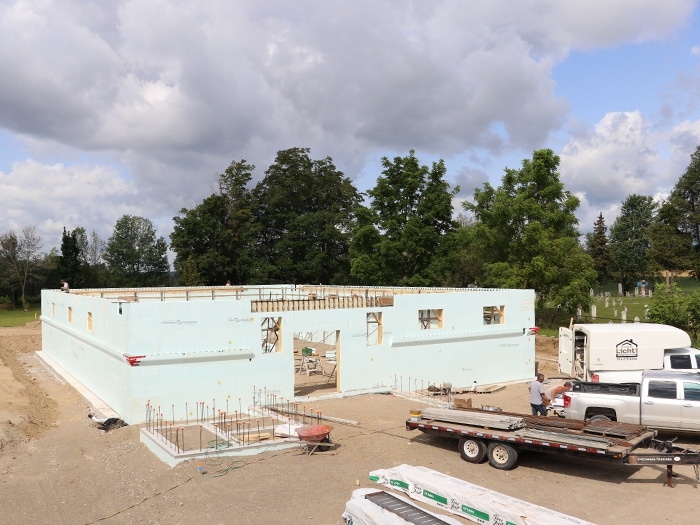 Fortunately, with prayers and persistence, on the Feast of the Sacred Heart this year, OLMCA got its necessary approvals, followed by the needed building permit by the township. To follow the building's progress you can see photos and find more information at: olmca.blogspot.com. Our Lady of Mount Carmel Academy thanks all of those who have helped and are helping with the building, and especially those who are sending their prayers and generous donations! If you are looking to send any donations, please follow this link to our GoFundMe page: gofundme.com/olmca-buildingproject Please do help us. All donors will have their intentions included in our monthly Mass for benefactors and are remembered by the students in the daily Rosary. 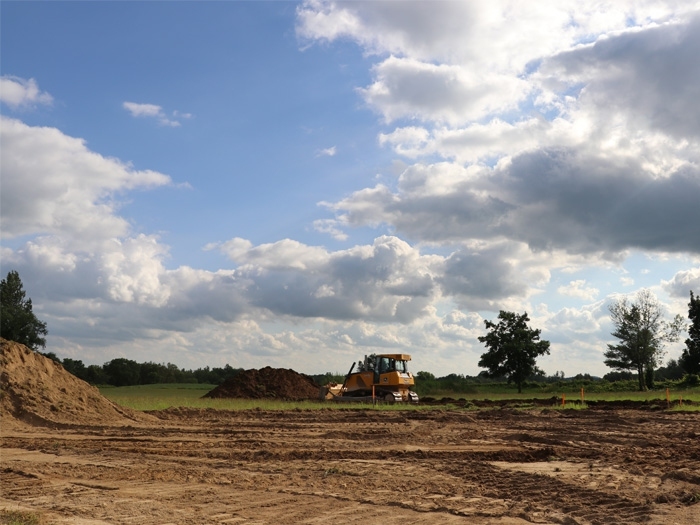 A tractor flattening the ground in preparation for the boarding facility.